Chamomile (also erroneously spelled camomile) is a flowering herb that looks similar to a tiny daisy. It has a gentle floral aroma that is very relaxing, which is why it's so popular in herbal teas and aromatherapy. A member of the Asteraceae family, chamomile is closely related to echinacea, sunflowers, marigolds, and other daisy-like flowers. There are two main types of chamomile: Anthemis nobilis (Roman chamomile) and Matricaria chamomilla (German chamomile). Chamomile is best known for its flowers, particularly the yellow heads. These can be used fresh or dried for various culinary and medicinal purposes. They may also be used in a floral extract or tincture. Perhaps the most widespread use of chamomile is as a tisane. It is often enjoyed on its own as an herbal tea or used in blends and enjoyed for its soothing qualities. 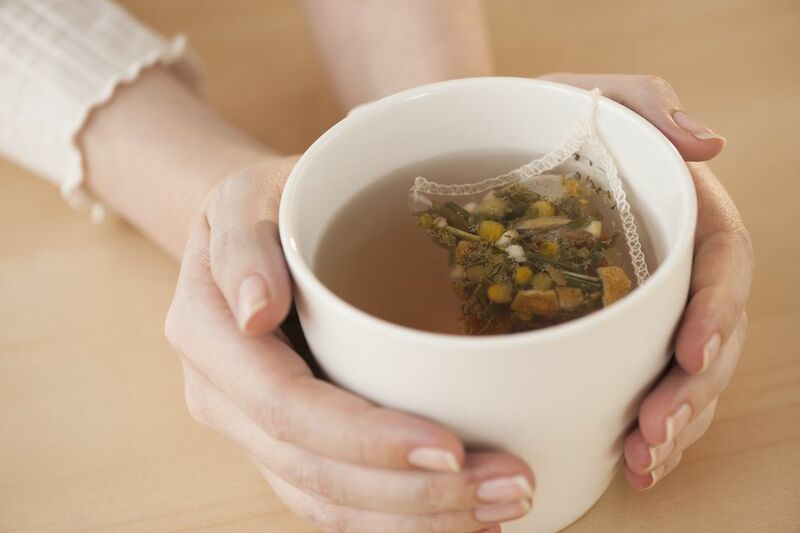 Chamomile tea is an excellent choice when you need to unwind from your day, relieve stress, or are preparing for bed. It is also one of the most popular teas for afternoon tea because of its lovely floral flavor. It's commonly found in Greek cuisine as well. Due to its aroma and healing aspects, it's also quite common to find chamomile in topical lotions and oils. It's a popular ingredient in soaps, shampoos, and cosmetics. If you enjoy making homemade soaps, it's an excellent choice. Many of these products use chamomile essential oil, which should never be ingested or applied directly to the skin on its own. The oil may also be used in aromatherapy applications, including diffusers and candles. Although chamomile is a flavorful and aromatic herb, it is often sought out specifically for its health benefits. It has longstanding medicinal and spiritual uses. Chamomile is considered to be a Pagan magical herb and thought to treat imbalances associated with the solar plexus chakra. Chamomile has been used for centuries to treat a variety of health conditions. While it is widely used today in alternative and natural medicine, researchers continue to study chamomile's potential. It may help relieve colic, anxiety disorders, irritable bowel syndrome (IBS), and canker sores. Some preparations may also help with inflammation, muscle spasms, menstrual disorders, and gastrointestinal disorders as well. Recent studies suggest that it may be helpful for people with diabetes, osteoarthritis, and cardiovascular conditions. As a stress reliever and to help with insomnia, chamomile is one of the best herbs you can choose. Some studies show that the application of chamomile in aromatherapy, including massage, may improve the quality of life for cancer patients. The tea can be very calming and act as a natural sedative. The herb can be used in a relaxing bath that will also soothe your muscles and increase circulation. You can also use the dried flowers along with lavender and rosemary to create sleep pillows in order to get more restful sleep. A decoction of chamomile can be used to soothe the skin as well. It's a very common way to treat rid of dark circles under the eyes. Topical applications of chamomile can be used to treat skin conditions such as eczema, sunburns, and rashes. It can also be used to combat dandruff in homemade hair rinses, shampoos, or hot oil treatments. Despite its many health benefits, chamomile isn't for everyone. It is not recommended for women who are breastfeeding or pregnant. There are also chamomile drug interactions to consider. Chamomile can cause allergic reactions in people with hay fever and some types of flower allergies. If you are allergic to ragweed, chrysanthemums, or other flowers in the Compositae family, chamomile is best avoided. Chamomile is a great choice for your home herb garden. If you're thinking about using it in teas, consider growing German chamomile. It is an annual plant that often self-seeds, whereas Roman chamomile is a perennial that is most often used as a ground cover. If you enjoy gardening, you'll also be glad to know that chamomile can prevent seedlings from damping off. Srivastava JK, Shakar E, Gupta S. Chamomile: A Herbal Medicine of the Past With a Bright Future. Molecular Medicine Reports. 2010:3(6):895–901.